Woohoo! Out of the HUNDREDS of entries, we used Random.org to choose our three winners who will receive an ARC of THE SAVAGE GRACE. In case you didn't get to see the cover (or want to see it again) I've posted it here. Please feel free to copy and paste the cover and share it on your blog/facebook/twitter etc. The more people who see it the better! 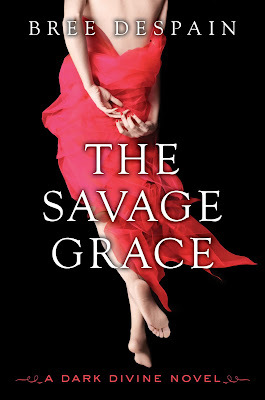 Full Moon Extravaganza #1: Cover reveal for THE SAVAGE GRACE!!!! If you didn't know already, tonight is a full moon. It also marks almost exactly 5 months until the release of THE SAVAGE GRACE. So to celebrate, and in honor of a few of my favorite werewolves, my publisher and I have decided to release something super cool and extra special on the day of the full moon each month, all the way up until the release date in March. Starting today! And I'm really excited about today's special treat. I've been waiting to show it to you all for a LONG time. Yes, it is finally time to reveal the cover to the final installation of Dark Divine trilogy, THE SAVAGE GRACE! But, I'm not going to just throw the cover up on my blog. No. That would be too simple. Instead, I've decided to make a game of it. So, do you want to play? Ok, so here's how you play: I have created a puzzle of THE SAVAGE GRACE's cover on my website. But I've spread the pieces across the interwebs, so before you can get to the puzzle and put it all together, you need to go find the pieces and unscramble a password. Don't worry. You won't need to copy and paste the puzzle piece images or do anything too technical. 4.) Enter the password when prompted. It has to be entered in all lower-case letters. 5.) After you finish the puzzle, click "view image" to see the cover completed. 6.) Now make sure you fill out the form on the left hand side of the puzzle page. This is how you enter the drawing for one of three ARCs of THE SAVAGE GRACE, so don't forget that part. 7.) The contest is open until 11:59 p.m. MST on Thursday, October 13th. Winners will be announced here on my blog on Friday, October 14th. Contest is open internationally! Waste Paper Prose ) and collect the rest of the letters. If you already have all the letters, unscramble them to find the password, and click HERE to access the puzzle. I really hope you love the cover as much as I do! Be sure to tell me what you think. 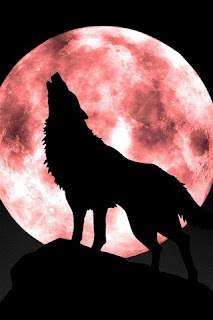 Does anyone have any special plans for the full moon tonight? P.S. When the winners are announced, I'll put up a larger version of TSG's cover that you are welcome to post all over the internet as much as you please. But for now, the cover is locked down and can't be copied. 1. October 19--I'll be speaking on a panel will Sara Zarr and Emily Wing Smith at the West Valley City Library, in celebration of Teen Read Week. Winner of ASHES...and exciting stuff coming! Jenni, email me at readbree (at) gmail (dot) com to claim your prize! Fantastic news, my friends. In order to say thank you for all the awesome feedback on the paperback cover of THE LOST SAINT, my publisher (Egmont USA) has decided to let everyone (as opposed to only the first 200 voters) read the prologue and first chapter of THE SAVAGE GRACE. But only for a limited time. 48 hours to be exact. So go on ahead and read the excerpt, and then please share a link to this blog post with anyone who you think would enjoy reading the first chapter (via Twitter, Facebook, blogging, vlogging, newsletter, etc). Then come back here and tell me what you did in the comments of this post (and provide linkage) and I'll enter you to win an autographed copy of ASHES by Ilsa Bick. Contest ends at 2:30 p.m. EST on October 7th. The winner will be chosen through Random.org and announced on or before Tuesday, October 11th. Contest is open internationally. Now, please go read and share the first chapter of THE SAVAGE GRACE while I nervously chew my fingernails and hope you like it . . . I love that Egmont considered everyone's feedback and decided to take the best of both cover options and created a whole new gorgeous finished product. Many thanks to all who participated in the Facebook vote. This cover is for you! Oh, and speaking of the voting, one of the things promised was access to the first chapter of THE SAVAGE GRACE for the first 200 voters, right? Well, since the response to the voting was so great, Egmont decided rather than limit access to the first 200 voters, they would like to let EVERYONE read the first chapter. Woohoo! But only for a limited time . . . Starting Wednesday, chapter 1 of THE SAVAGE GRACE will be available on Scribd.com. The chapter will only be posted for 48 hours, so don't miss out. 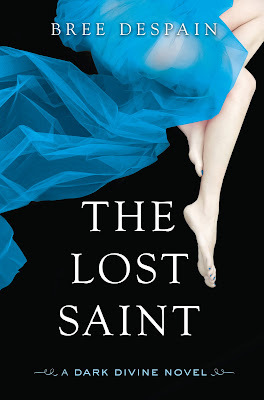 Be sure to come back here to get a direct link to the first chapter, and to see some of my favorite foreign market covers for THE DARK DIVINE and THE LOST SAINT. There are also some exciting things in the works that I'm hoping I'll be able to tell you about then. 1. October 19--I'll be speaking on a panel will Sara Zarr and Emily Wing Smith at the West Valley City Library, in celebration of Teen Reads Week. That's all for now. See ya Wednesday!